Dr. Lisa Bramson grew up in Miami, FL and found her way to the Keys via summers spent at Seacamp. She received her Bachelor’s of Science in Animal and Dairy Sciences from Auburn University in 1986. 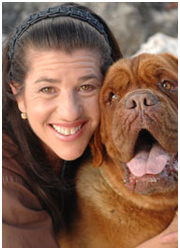 Dr. Bramson then went on to earn her Doctorate of Veterinary Medicine from the University of Florida in 1991. She has been a veterinarian at the All Animal Clinic since 1992. Dr. Bramson volunteered her services from 1991-1995 as the staff veterinarian on site for the opening of The Turtle Hospital in Marathon Key, FL. She became a partner at the All Animal Clinic in 1997, then purchased the practice in 1999. Dr. Bramson’s areas of special interest in the veterinary field are dermatology, ophthalmology and oncology. She lives with her husband Buzz Owens, a commercial fisherman, her two children, Rachel and Johnny V, and her cat Spot. Dr. Bramson’s hobbies include fishing, gardening and hunting. “I have always loved the feeling of being able to help people with their pets – -to make a difference — in life and in death. I love that in a small town like Key West you can become so bonded with people and their pets as apart of their family. To me this is the greatest satisfaction that comes with my job”. After high school I could not decide whether to study veterinary medicine or molecular and cellular biology at the University of Havana. But in the end I decided to study veterinary medicine and animal husbandry for which joining the faculty of Veterinary Medicine at the Universidad Central De La Villas, located in the center of the island of Cuba. This university is accredited in Europe and the European Union for its scientific research became my home for 5 years, where he finished and I graduated with honors in 2004. Some years later as a practicing veterinarian in Cuba, I made the decision to emigrate to the United States, where I began working as a veterinary assistant with Dr. Lisa Bramson and Kristen Jensen at All Animal Clinic. I am currently in the relevant paperwork to get my medical license. Christine predominantly worked in critical care/ISO wards with hospitalized patients with viral illnesses. Christine worked traumas and neonatal care and has also trained in critical care nutrition – Hills, Eukanuba IVD companies. She has volunteered at the Huntington League For Animal Protection where she trained in emergency medicine/critical care, pharmacy, neonatal care. Christine enjoys working at All Animal Clinic because of the wonderful environment and the abilities to help animals without the trappings of shelter medicine. Christine lives with her rabbit Aurthor in Key West as well as her 10 rescued cats all with various physical disabilities. Their names are: Ace, Buffalo Cat, Charles, Dee Dee, Gremlin, Kate, Kika, Mokey, Oz and Pigpen. 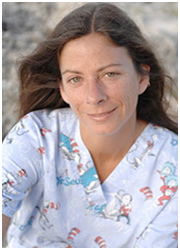 Robin H. Holtsinger, DVM practices as a Veterinarians in Deerfield Beach, FL. Specialities include; Veterinary Surgeon and Small Animal Surgeon. Robin is College of Board Certified, American College of Veterinary Surgeons. Dr. Joshua Broadwater was born and raised in the small coal mining town of Lonaconing, Maryland. He attended the University of North Carolina-Chapel Hill, where he studied biology and graduated with highest honors. Dr. Broadwater then attended veterinary medical school at the Virginia-Maryland Regional College of Veterinary Medicine. After graduation, Dr. Broadwater completed a one year rotating medicine/surgery internship at Florida Veterinary Specialist in Tampa, FL. He then completed his 3 year ophthalmology residency at the Animal Eye Specialty Clinics of South Florida. After completion of his residency, Dr. Broadwater continued to work at the Animal Eye Specialty Clinic, with locations in Melbourne, Stuart, West Palm Beach, Deerfield Beach, and north Miami. He is currently an ophthalmologist at the West Palm Beach clinic. In his spare time, Dr. Broadwater enjoys weight lifting, skiing, traveling, playing piano, and scuba diving. Dr. Susan Carastro was raised in Montgomery, Alabama and attended Auburn University for undergraduate and veterinary school. She graduated from Auburn University College of Veterinary Medicine in 1988 and completed an internship in small animal medicine and surgery at The Animal Medical Center in New York City in 1989. Dr. Carastro was residency trained in veterinary ophthalmology at The University of Illinois and received a Master of Science from The University of Illinois in 1992. She became board certified in veterinary ophthalmology in 1993. Dr. Carastro returned to The Animal Medical Center as a staff ophthalmologist from 1993-1996. She moved to West Palm Beach and opened Animal Eye Specialty Clinic in 1996. Animal Eye Specialty Clinic presently has five locations including Melbourne, Stuart, West Palm Beach, Deerfield Beach and North Miami. Dr. Carastro’s professional interests include glaucoma, corneal surgery, cataract surgery, retinal surgery and equine ophthalmology. In her off time she enjoys flying,horseback riding, racquetball and running. Dr. Heidi Ward received her D.V.M. from the Ohio State University in 1989. She completed an Internship at Veterinary Specialists of Connecticut and a Residency in Small Animal Internal Medicine at the University of Florida. Her strong interest in Oncology led her to pursue a second residency in Clinical Oncology at the Ohio State University. After completing her oncology residency, she joined the faculty of the Small Animal Internal Medicine Service at the University. Dr. Ward became a Diplomate of the American College of Veterinary Medicine, Specialty of Oncology in 1994. She has received numerous awards for excellence in clinical oncologic research. Dr. Ward consults with the staff at All Animal Clinic on a regular basis for cancer and internal medicine cases. Dr. Prosek is a Diplomate of the American College of Veterinary Internal Medicine (ACVIM) and recently also became a Diplomate of the European College of Veterinary Medicine, Companion Animals (ECVIM-CA). He is board certified in cardiology. His post DVM training started as an internship in small animal medicine and surgery at the University of Illinois followed by his cardiology residency training for three years. Dr. Prosek also pursued a Master of Science degree at the University of Illinois and received a degree in Veterinary Clinical Medicine. Special interests include all cardiovascular and respiratory topics, especially echocardiography (ultrasound of the heart), novel medical and interventional therapies, blood based markers of heart disease and most importantly, his patients. Dr. Prosek was a clinical assistant professor of cardiology at the University of Florida for four years, where he was responsible for resident, intern and student training and is currently an adjunct professor of cardiology at the University of Florida. He is also a reviewer for the Journal of Veterinary Cardiology, Journal of the American Veterinary Medical Association, and the Journal of Veterinary Internal Medicine. Eventhough all these activities keep him busy, he feels they are all very important as it allows him to stay well rounded which he hopes will translate into optimal high quality care for his patients. Dr. Watson is a board certified veterinary radiologist and owner of Veterinary Imaging, a radiology referral service in South Florida. Dr. Watson is available for interpretation of radiographs, ultrasound images, MR and CT studies which reach Veterinary Imaging by mail, courier or telemedicine. Through telemedicine Dr. Watson can provide the most immediate consultation to veterinarians at any location. Veterinary Imaging also provides mobile ultrasound and film reading service to veterinarians and their clients’ pets from the Florida Keys to South Miami. Dr. Watson is also available as needed at All Animal Clinic and works with the veterinarians there to provide advanced care for that extremely important family member, your pet. Dr. Watson received her DVM from the University of Florida in 1988. She completed a four year residency in Radiology at the University of Georgia in 1994. In 1994 Dr. Watson became a Diplomate of the American College of Veterinary Radiology and received a MS degree in Anatomy and Radiology form University of Georgia in the same year. Prior to opening Veterinary Imaging, Dr. Watson was a radiologist with a radiology referral service in Redmond, Washington. Hours may change temporarily, please call for specifics.